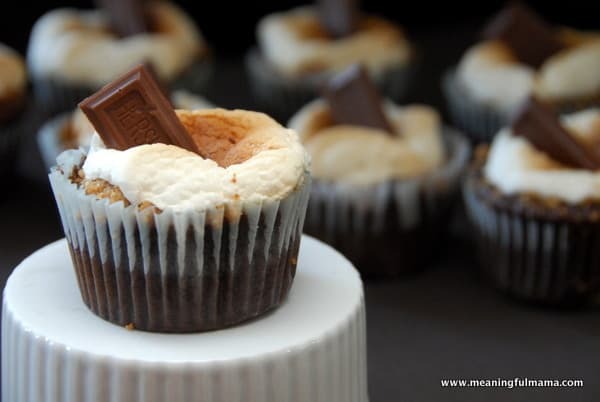 I have been wanting to try to invent a S’More Cupcake. There are recipes out there. I glanced at a couple, but I didn’t want their ideas to get in the way of my own. Making up recipes is newer to me. I think becoming a blogger is helping me to take more risks in this area. It definitely paid off this time. For me, it is has been really fun. In this case, I used some of my favorite recipes to make up components for this recipe. It worked. I guess if you have a graham cracker crust recipe and a chocolate cake recipe you love, add them together, and it just works. I do have to give out a shout out to my first dessert recipe I made up, which was a S’More Cookie Bar. This remains a favorite in our household. 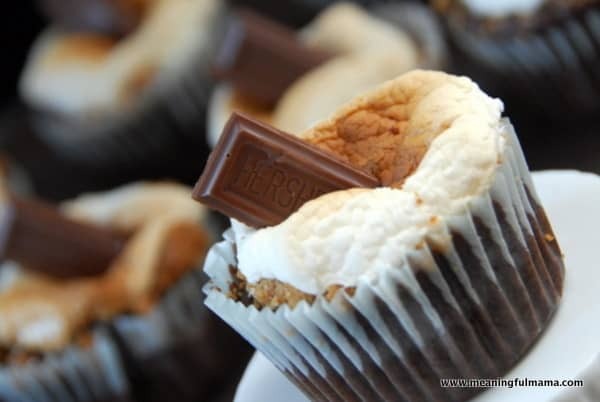 I guess if you like S’Mores, you may as well try it in both cupcake and cookie form. 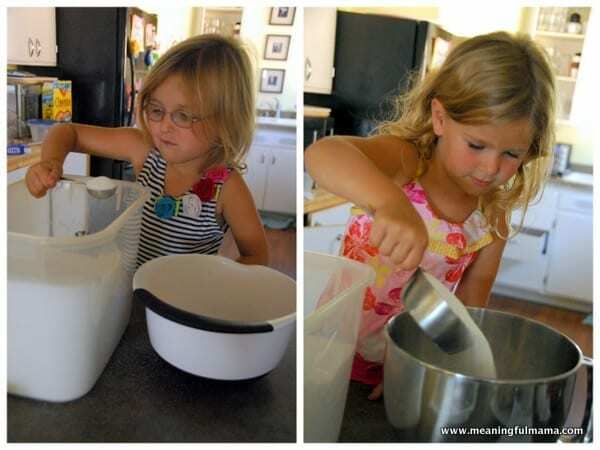 The first thing we did was mix up our favorite chocolate cake recipe and graham cracker crust recipe. I made 1.5 times the graham cracker recipe, but I’m not convinced this was necessary. I, as always, encourage you to have your kids helping here. 1. 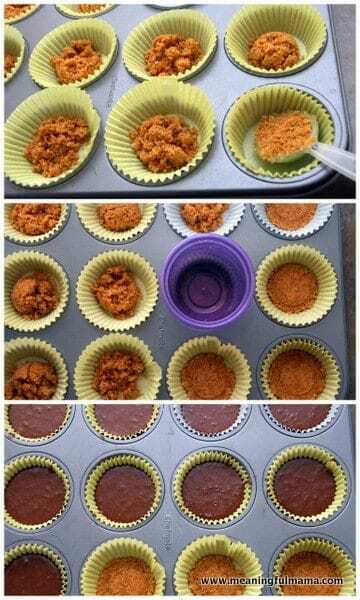 Put 1 Tbsp graham cracker crust in cupcake liners. 2. Press the graham cracker crust flat with a small cup. 3. Pour the chocolate cake in to fill it up to 2/3 of the cupcake liner. Bake at 350 for 17 minutes. 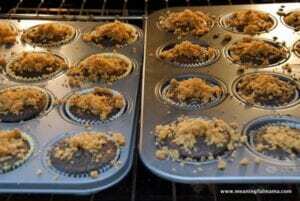 After 17 minutes, open the door and quickly sprinkle with excess graham cracker crumbs. 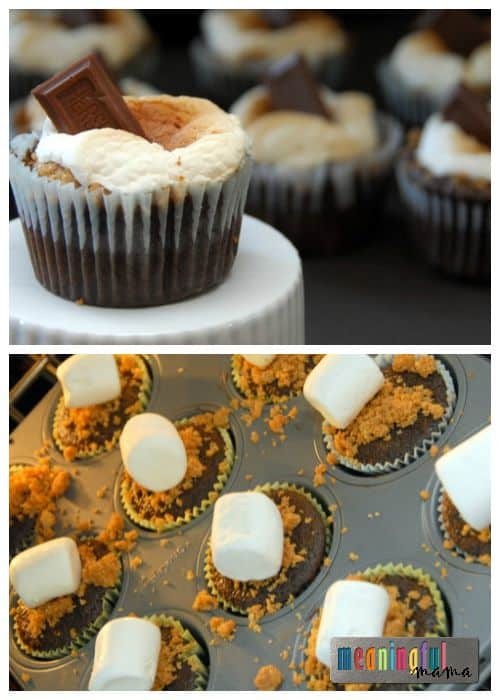 Next, set a marshmallow on every cupcake. Bake for another 5 minutes. After that 5 minute passes, turn on the broiler. Watch marshmallows carefully at this point until they’re toasted to your liking. 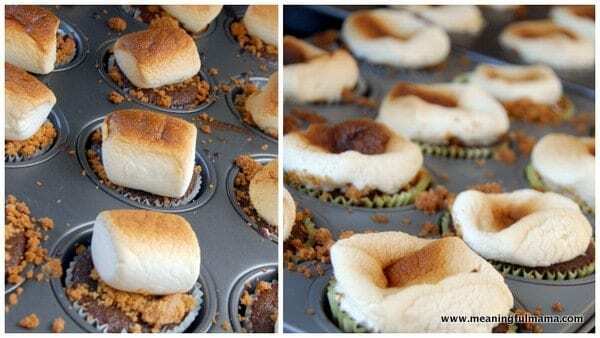 After the cupcakes come out, the marshmallows will still looked puffed up. I just took two fingers and pressed them down so the marshmallow covered the top of the cupcake. Hi. i’m ada from Malaysia. your bakings look delish and lavish. Love em.